Shifting your House? It’s easy to move with Migrera. 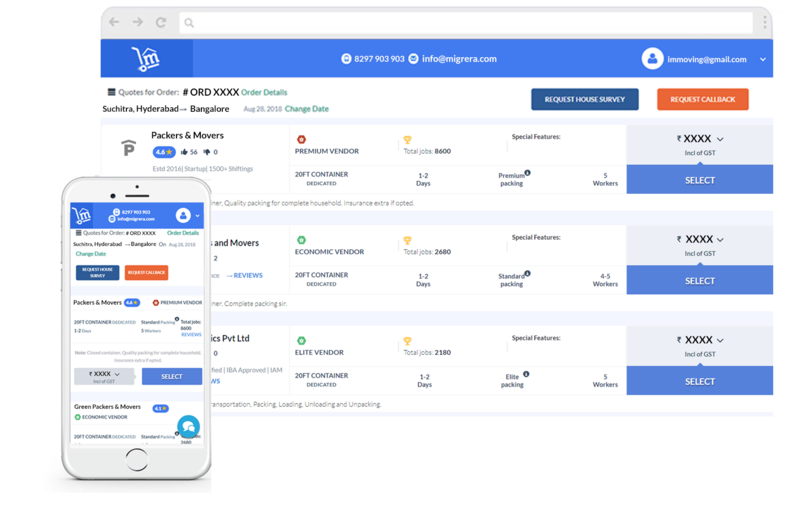 Get Quotes Plan your move on our user-friendly platform - List your inventory, mark the services you need and get exact and best quotes from our trusted packers and movers through SMS and email. Book your packers and movers Compare job ratings, reviews, prices of different packers and movers that you get quotes from, all-in-one single page. Pay a token amount online and Book a slot with your mover on your Big Move Day! Move with Migrera Sit back and relax watching your mover packing your items, disassemble your furniture (if any), loading into the truck swift and smooth. Call your Shifting Expert anytime for any questions. Many packers and movers are seasonal and have no real office spaces and shut when it doesn’t suit them. Packers and movers listed in Migrera are certified, experienced and run 365 days and 100% tested and trusted by Migrera. Service guarantee is absent in relocation industry even by reputed packers and movers. Because, moving is rare and you rarely return to the same packers and movers for their services. 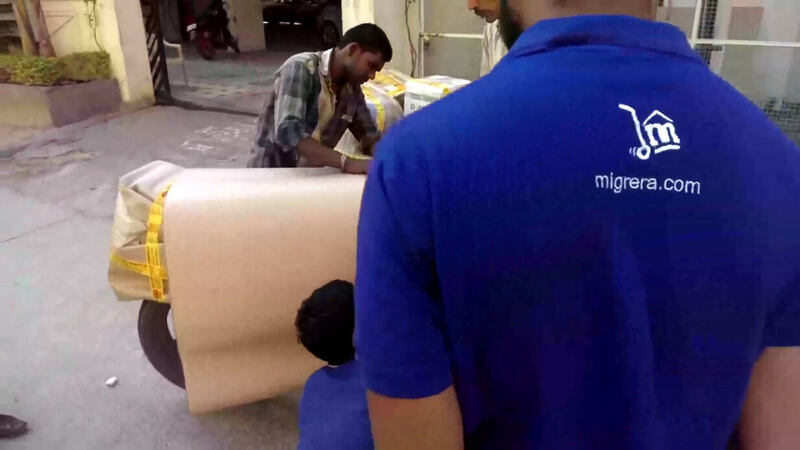 Migrera is a strong medium where many packers and movers generate their business from. Migrera warns, suspends and terminates it’s listed packers and movers when they don’t keep up the service standards. Traditional packers and movers provide you low quotes before move and surprise you with more costs on move day. You will be left with no options other than bite the bullet. It’s really frustrating when you have many other things in mind. The quotations provided for the inventory you select in our website are full and final. Prices are transparent and shown separately for packing, loading, transport, unloading and unpacking for only the services you need. Every packer and mover is listed in all listing websites available online and no website gives assurance. The reviews provided in different websites are generally fake, dummy or bad posted by themselves or customers or other competitors. The reviews posted for each packers and movers are genuine and can only be given by customers who already used their services. You can read the reviews, job ratings given by previous customers in the quotations before booking a mover for your move. You give your phone number in different listing websites to find your desirable packers and movers.These listing websites share your personal details to different packers and movers ending up with spam calls to take their services at cut-prices. You fall for the honey trap and only find yourself in the ditch later. 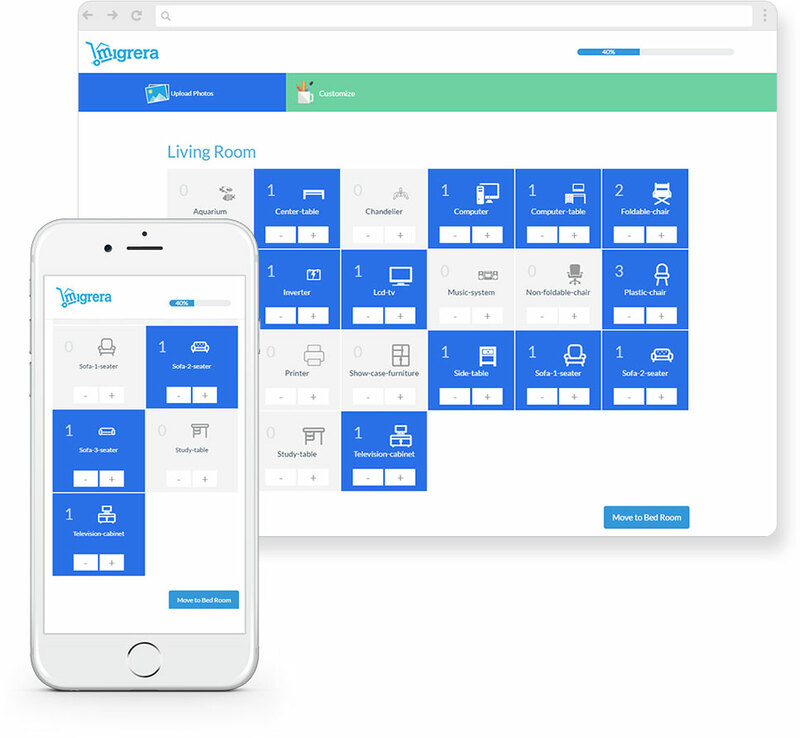 Migrera does not share your personal details to it’s moving partners. Make your move plan with Migrera. We match you with the right packers and movers and get you exact and best quotations for your moving needs. Your personal details will be shared to your mover only when you are moving. We have pre-screened the best and trusted packers and movers in Hyderabad. For House Shifting. This page gives information on " Packers and Movers Hyderabad" in Hyderabad, Telangana for House Shifting. By Migrera Logistics Ltd.